Lipari has actually been a popular destination for travelers and traders – since – well – the stone age – or Neolithic times. For Lipari and the Aeolian Islands – it’s all about the rocks – and the volcano. 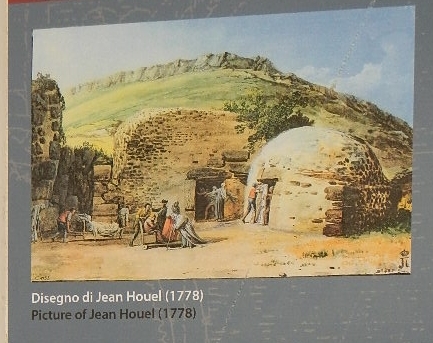 Lipari was volcanically active until the middle Neolithic. Around 9,000 years ago an obsidian flow came out of a crater on the northern part of the island. Obsidian is a black-glass like flow. It was an important material for building tools for early humans; perhaps the most important material for developing tools. It was so rare that this obsidian flow defined Lipari as a center for tools and trading in the middle Neolithic (5,000 years B.C.). An obsidian rock quarry, dated to 4,000 years B.C., was discovered when they recently put in a local road. Pottery (now housed in a wonderful little museum in town) shows evidence of almost continuous occupation in Lipari since that time. There is also evidence that the people here trading throughout the Mediterranean and northern Africa. Basically, this area has attracted human settlers and traders since humans were able to navigate the Mediterranean. Lipari wasn’t the only area where obsidian was found in the Mediterranean, but Lipari obsidian, along with that from Melos, appears to have been the most widespread in ancient Mediterranean civilizations. Obsidian was used for tools until the Bronze Age, when it was slowly replaced, and disappeared by around 1,500 B.C. This is one interesting little town! Covering much of the obsidian flow are huge deposits of pumice. Lipari pumice was also used for tools and weapons during the middle-Neolithic. It was used for building material (such as in domes like the Pantheon) during Roman age, and used to sand and scrape writing scrolls during the middle ages. During the 1950s, a documentary was made on pumice production on Lipari – before the island had electricity or any mechanization. 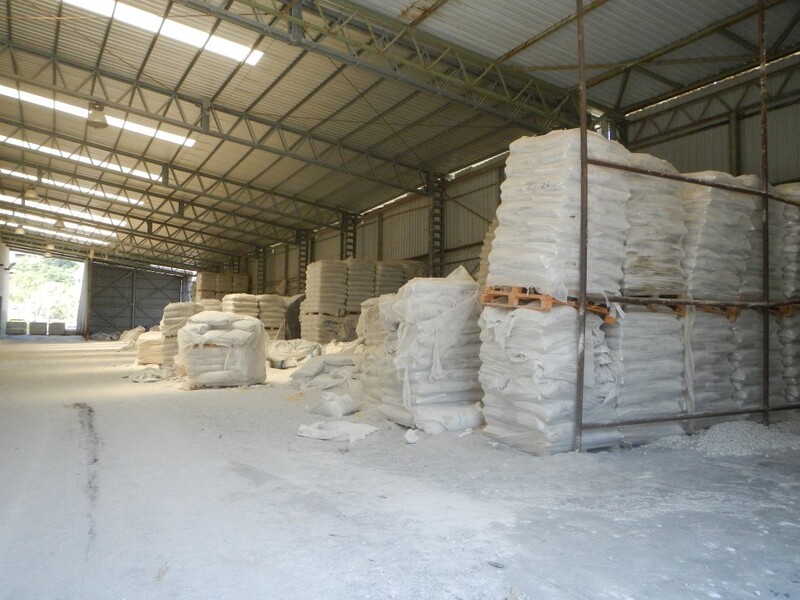 At that time Lipari pumice was exported to much of world. In 2000 the Aeolian Islands became an UNESCO World Heritage site. At that time it was decided that the pumice mining was to end by May 31, 2005. Of course this decision was highly controversial – there were a lot of jobs at stake, and pumice mining was really important to the local economy. Protests were held in Messina, and the mining company received an extension to the end of 2005. In 2006/2007 the mining continued – and even increased. 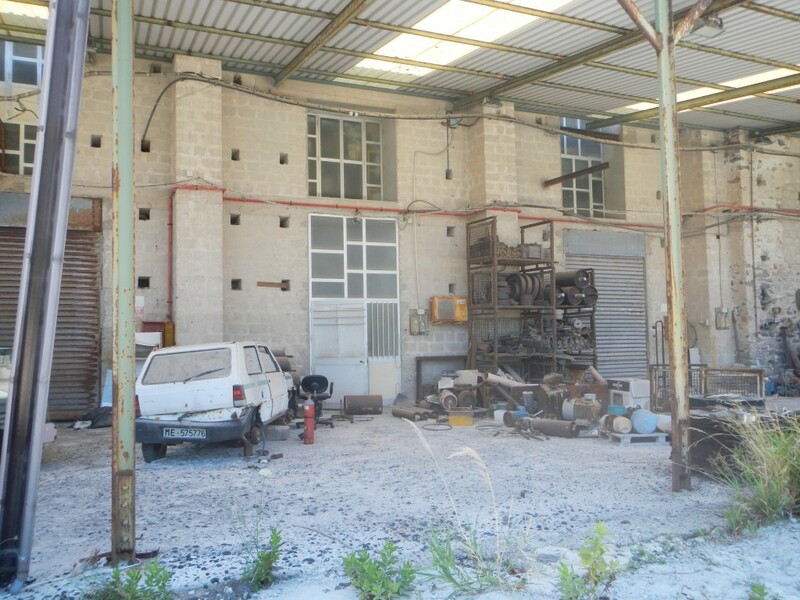 At that time a non-profit decided to take the mayor of Lipari to court. UNESCO also adopted a decision saying they were really concerned by the on-going mining activity. In the end the mines were shut down by the police at the end of August 2007. They were been left mid-operation – as if the miners just walked away, leaving half-filled bags and equipment behind. Locals still shake their head about the closing of the mines – a decision made by people far away from the island; people that have yet to follow through on plans to sunset the mining operation. We took the public bus to a small village called Aquacalda (the water isn’t that warm) and had a quick swim on the rocky beach. It was filled with both pumice and obsidian – pumice makes a better beach. 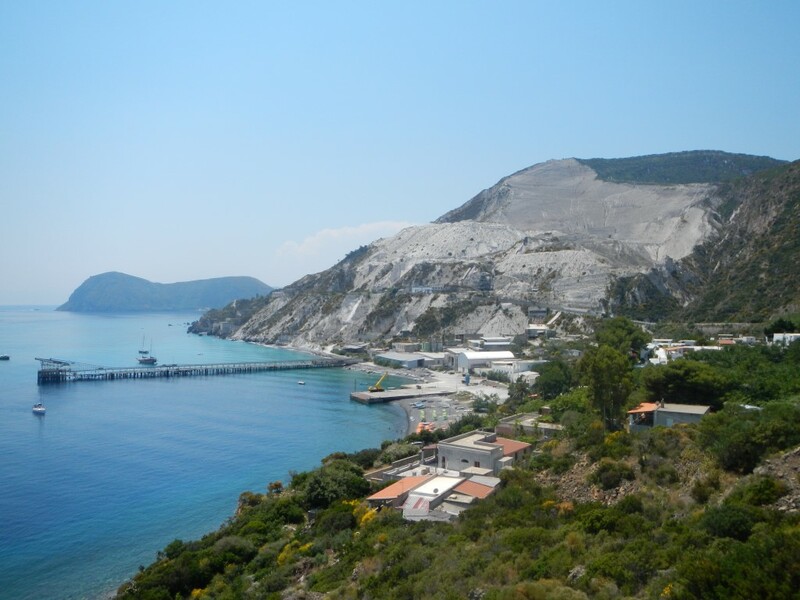 A small pumice quarry lay above the town, and it felt like the town used to be filled with pumice workers –it seemed too large for the lack of activity going on. From there it was a quick walk through the obsidian flows to the larger quarry. The rocks on the beach there were a little smoother! Further to the south were the large quarry buildings and dock. Abandoned. Walking through them was a little surreal. After that was a white pumice beach; rocks and sand alternating. I think this is probably the best beach on the island – all the fancy yachts were hanging out there. Finally – the spa. 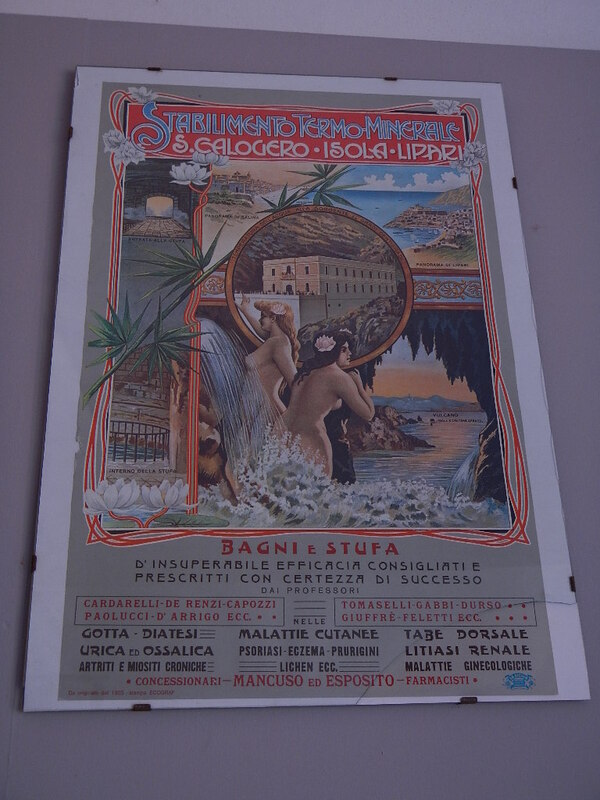 A few days after our trip to the pumice mines, we took the bus the other direction to the Thermal Baths of San Calogero. You just have to tell the bus driver where you want to go, and he/she will tell you when to get off. Thank goodness, because there don’t seem to be many signs along the road. It was just a short walk –downhill – to the baths. The baths, centered around a thermal spring, are thought to be the oldest spa in the Mediterranean, dating possibly from the Neolithic. It’s not just a run-of-the-mill thermal spring; it doesn’t smell of sulfur, making it much more pleasant than the hot springs on neighboring Vulcano. There are signs of earlier occupation, but it was the Greeks and their great architectural skills that create a steam room or Thelos that still exists – intact – today. The little domed building is reminiscent of a mini-Parthenon. 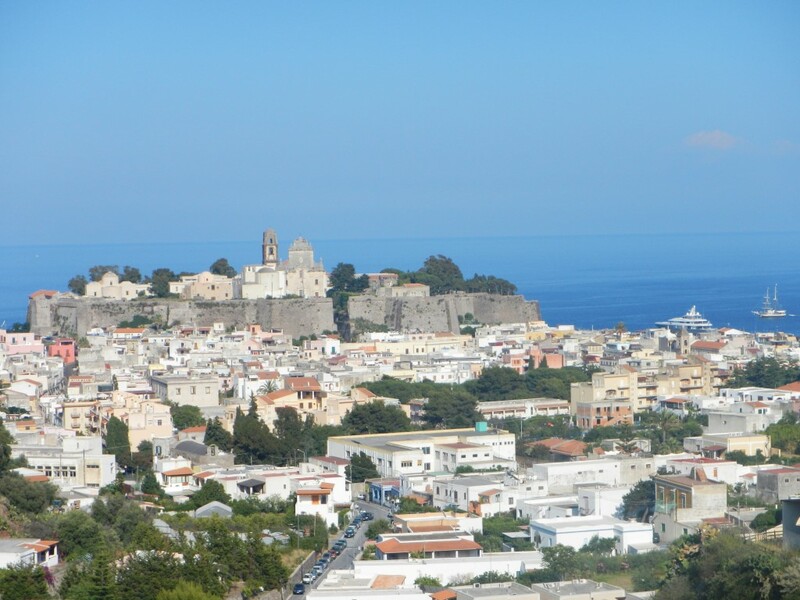 “Lipari possesses … renowned thermal waters. These baths improve the health of the sick, and owning to the particular properties of the water, they provide relief and relaxation to those that use them. For this reason people from Sicily, afflicted by various infirmities go to the island, and thanks to the thermal cure they improve faster than they believed possible.” Diador Sculo (Roman Times). The thermal spring disappeared for some time, but discovered again in the middle-ages, and the baths again began to attract visitors. In 1865 an infirmary/hospital was built near the baths, and they were used on and off until 1975. 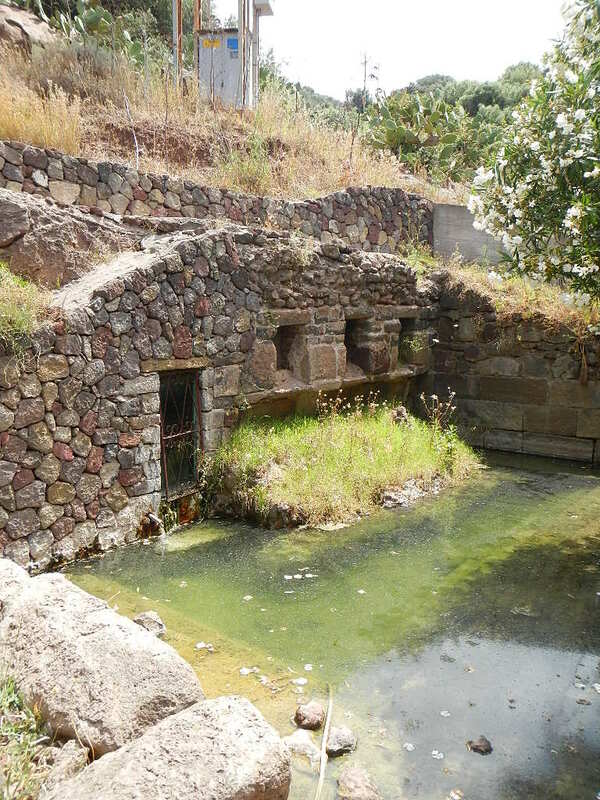 In the 80s there was an attempt to restore the baths, but as work was underway someone recognized that the steam room (Tholos) was a Greek building. This began an archaeological excavation. Excavation work resumed in 1992-1993, along with some major reconstruction of the hospital building and infrastructure, and some removal of buildings covering the older Greek and Roman baths and building. Then money ran out, and the water went from a hot gush to a warm trickle – probably because the spring was disturbed. Today the site functions as a small museum that is clinging on by a lifeline. What they need is a lot of large donors that are willing to do some major restoration work (including getting that spring back up to the surface). Perhaps they could employ the ex-pumice workers to do the job. Actually – the museum at the baths had an upper floor that was devoted to the history of pumice mining. They even showed the short film from the 1950s. It was staffed by a young volunteer that gave individual tours to everyone that showed up. The poor thing was running herself ragged going up and down the stairs trying to remember what she had explained – and in all sorts of languages! She asked us if we had visited a cave with all sorts of colored quartz, explaining it was two hours by the trekking road, or five minutes by car/scooter before running off to give another tour. 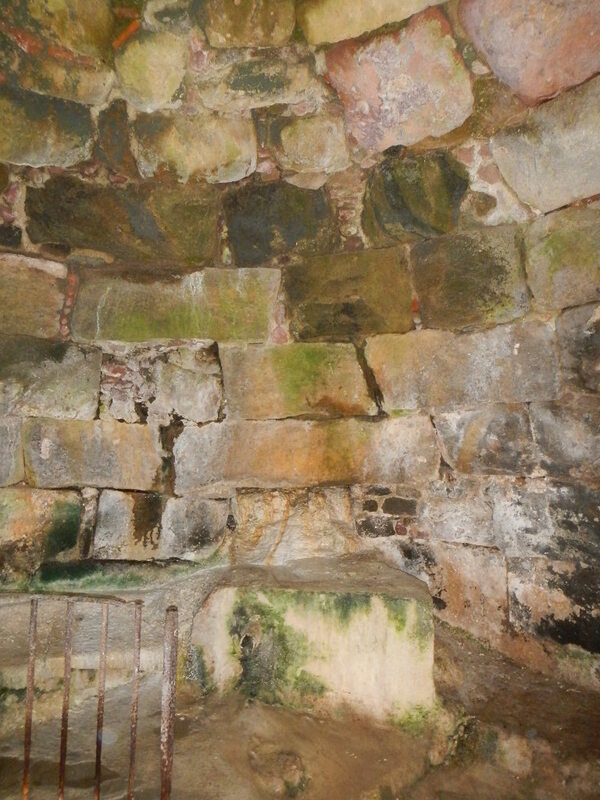 Part of the Roman Bath structure – not too appealing! “Just head down the road and you’ll find it.” The thing about this island is that there are some great trails – but they aren’t marked at all – and unless you stumble upon them – or a local tells you about one – they can be impossible to find. This one wasn’t that bad. The road turned to a dirt road and eventually a trail. It showed signs of having been a good road at one point – a solid rock wall to one side – sometimes underlain by paving stones (like an old Roman road) – I thought I even saw chariot tracks in a rock (like the tracks you can see on Pompeii streets) but maybe I was imagining it. We weren’t really sure what we were trying to see – which was a good thing – because we didn’t see it. We did have a good hike and didn’t see a soul for two hours until we emerged at the village of Quattropani at the northwest edge of the island. Note to self – don’t leave the map at the apartment next time you go for an outing. I have an idea – maybe the ex-pumice workers could be employed marking the trails. Just a thought. This is one of my favorite places so far. I could retire here. Unmarked trails. Is all just a part of the adventure that is Italia! I noticed that Sardinia got mentioned as a source of obsidian as well in the museum display! You could make walking maps. I bet they would be popular! 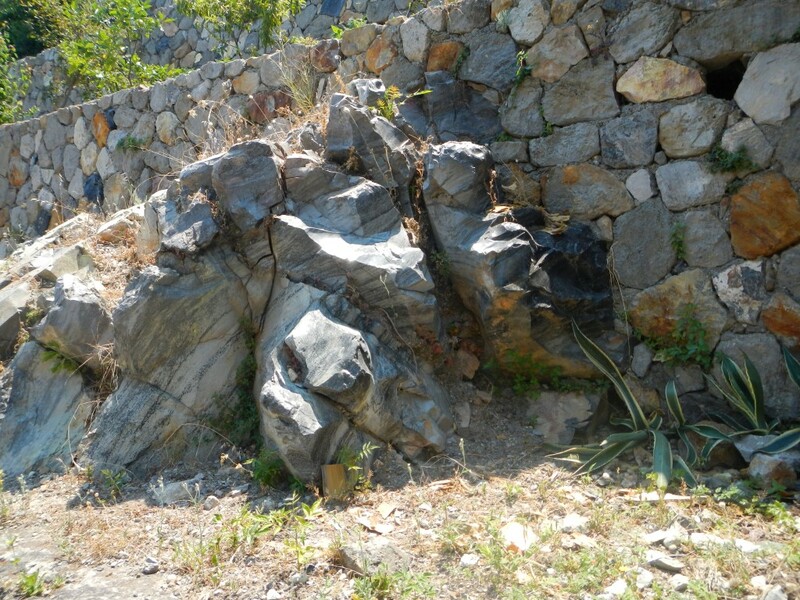 You”ll have to find the obsidian flows on Sardinia and send me a photo. Email: nomoredrama8@gmail.com if you'd like further information about this blog. Antalya Turkey – Third Most Visited City in the World – Why? Bodrum Turkey – What do a Royal Shipwreck, Crusaders Castle, and one of the Seven Wonders of the Ancient World have in Common? Devilcorp on Bodrum Turkey – What do a Royal Shipwreck, Crusaders Castle, and one of the Seven Wonders of the Ancient World have in Common? Margaret on Antalya Turkey – Third Most Visited City in the World – Why? boston02127 on Antalya Turkey – Third Most Visited City in the World – Why? ladebra on Antalya Turkey – Third Most Visited City in the World – Why?